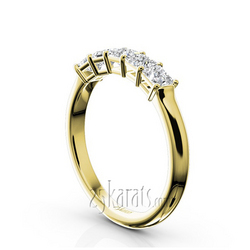 Classic shared prong wedding band with rounded contemporary touch. 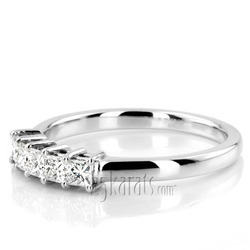 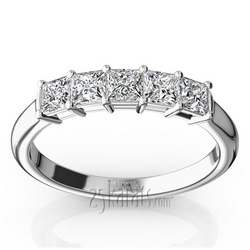 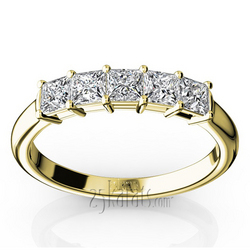 This traditional anniversary band is set with 0.70 ct. t.w princess cut diamonds. 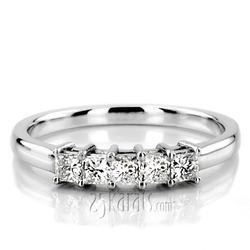 This diamond wedding/anniversary band is available in 14k, 18k, platinum and palladium. 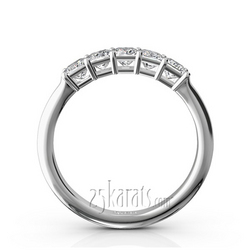 Carat Weight / Size (each): 0.14 ct. / 2.75x2.75 mm.